Specific and detailed farm-by-farm weather forecast information is available in your Point Ag Forecast. 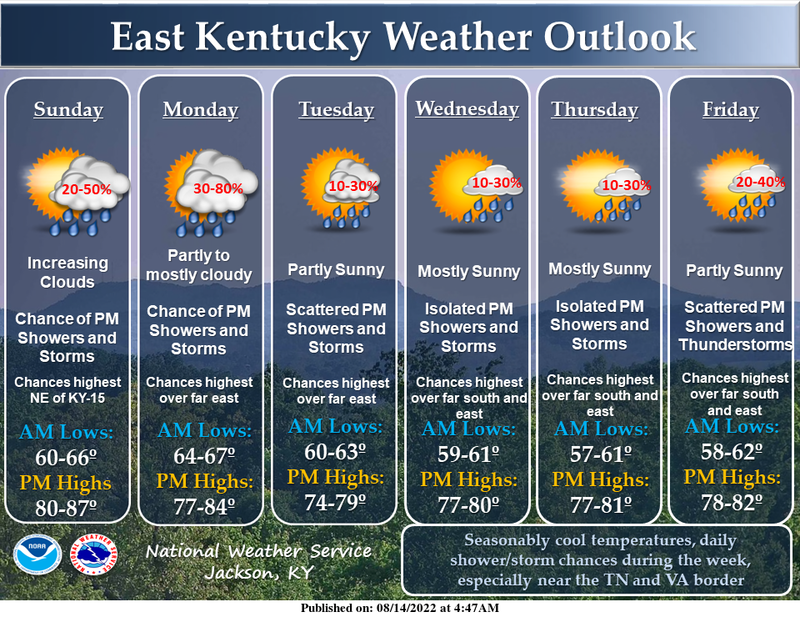 New County Ag Weather Page, Current Conditions:Kentucky, U.S. ....Here's the Central Kentucky 7-day hazardous weather outlook from the National Weather Service... From the UK ag weather center. Updated: 3 PM Thu Apr 18 2019 this hazardous weather outlook is for portions of south central indiana and central kentucky. .day one...late this afternoon and tonight. 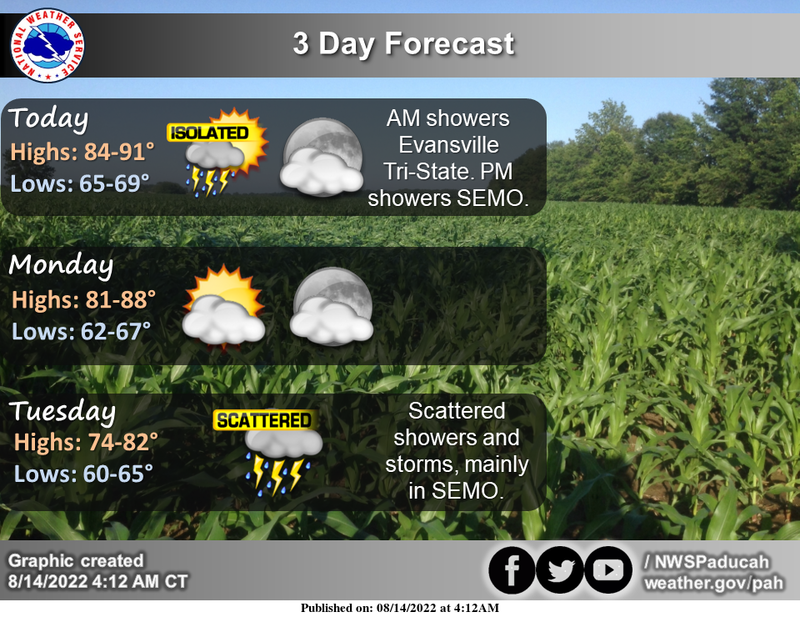 multiple rounds of showers and storms will be possible later this afternoon and evening, particularly west of i-65. some of the storms late this afternoon and evening may be capable of gusty winds and heavy rainfall. .days two through seven...friday through wednesday. no hazardous weather is expected at this time. .spotter information statement... spotter activation may be needed today. 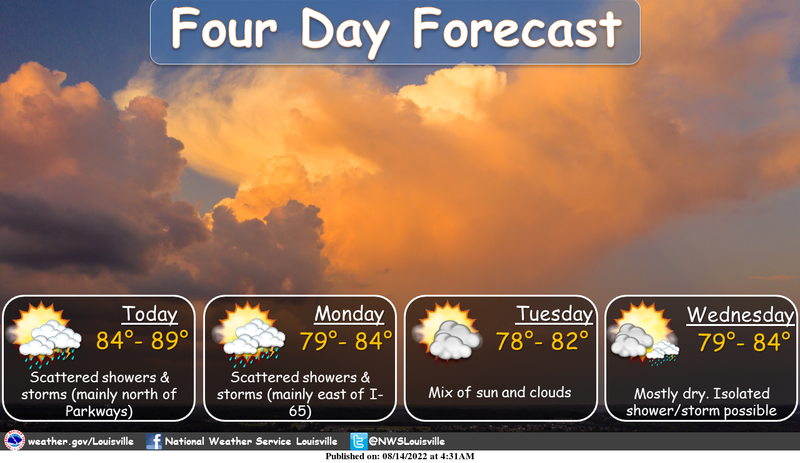 This hazardous forecast is provided by The National Weather Service. ...The mission of the UK Agricultural Weather Program/Center is to provide educational resources through the development of agricultural weather products and services that minimize weather surprise to Kentucky residents relative to their agricultural needs... Detailed forecast information is available in your Precision Ag Weather forecast here... -=-=-=-=-=-=-=--=-=-=-=-=-=-=-=- Long-range outlooks here. .DAY ONE...Late This Afternoon and Tonight.